I was in my bedroom this morning that has a big picture window with a good view of our yard and pond. Off to the right you will see my rose bush garden that has a fountain and of course a platform feeder for the birds. When suddenly, I hear a small thunder type sound. I look out the window and what do I see? A mass exodus of not only Mourning Doves, which congregate on that particular feeder all the time, but I do believe every bird that was in my backyard this morning. That is my clue to scope around the yard because I know that it had to be either a Cooper’s Hawk or a Sharp-shinned Hawk who started all of the commotion. You see these hawks are really good at keeping the birds (especially the doves) on alert as they will be their breakfast and/or dinner if he catches one of them and they know it. 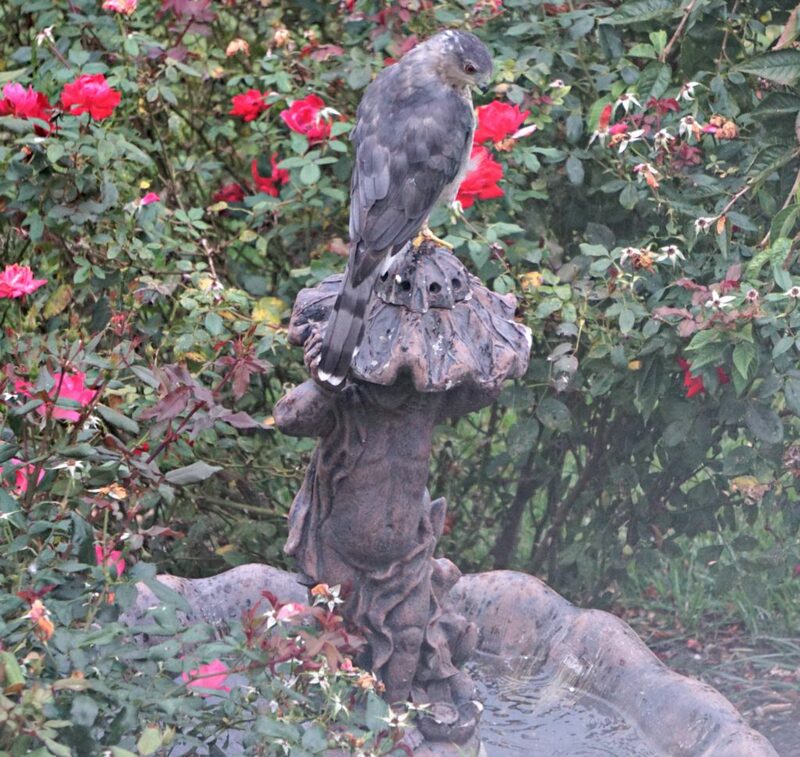 It turns out that it was the Cooper’s Hawk this time. He is sitting on the feeder (see photo above) resting I guess. So I just have to go fetch my camera because this is a great photo op. Yet I’m thinking as I am running to get my camera that he is going to be gone by the time I get back. But to no avail, it is still sitting and gives me plenty of time to take a picture. One hour later it was still sitting in my yard but this time on top of the fountain! Trust me there were no other birds in sight! This hawk is a medium-sized hawk with broad, rounded wings and a very long tail. It is pretty common in the deep woods and also mature backyards and subdivisions where I live too. This hawk is pretty skillful at tearing through the area in hot pursuit of a bird and also small mammals. It is amazing because all of a sudden one just appears out of nowhere and BAM! there goes all the birds in my yard flying frantically away. That’s right, some people do not appreciate Cooper’s Hawks around because they do not want to encourage such brutal activity in their yard. But it is a part of nature so if they do not do catch the prey in your yard they will just move on to where good eating is available for them. Honestly, it does not bother me as I really have never seen a hawk whisk a bird in it’s talons to eat it anyway. I have only seen the remnants of a catch which is the feathers all over the ground and maybe some bones too. Plus, I hate to say it but with so many doves coming in to our feeders which just screams “dinner” for the hawks, losing one or two is not a bad thing. 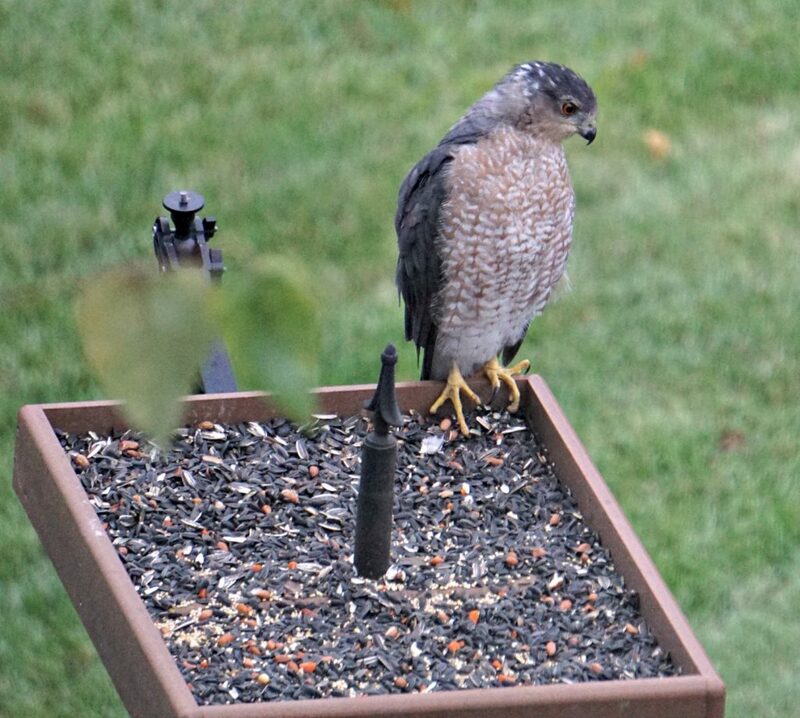 If you have bird feeders, especially a platform feeder as I do, you will attract Cooper’s Hawks to your yard. This open feeder holds a good many birds at one time and makes it easy for hawks to fetch a bird and also land on it. But if one takes up residence in your yard and you do not want it around, the best advice that I have is to take the feeder or feeders down for a couple of days and the hawk will more than likely move on. Have you had a Cooper’s Hawk in your yard? What are your experiences if any? I would love to hear your story as I think it is exciting to have them around. Feel free to make your comments below. Posted in Backyard Birds, Raptors Birds of Prey. 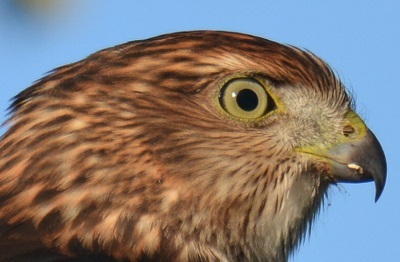 Donna, what a gorgeous bird is that Cooper’s Hawk. We have a number of different raptors down here where I live in Tasmania. In fact, although many birds congregate in the bush around our house I probably haven’t identified half of them (the bush is pretty thick)! At the top of our property we have a breeding pair of Wedge Tailed eagles and a couple of kiddies each year. One day we were looking out the window at the dam. There was an obviously sick rabbit on the bank. Probably with Myxomatosis so my partner went out to see if he could help or he needed to kill it. He came back in to get something and as we looked out to the bank again one of the Wedgies swooped down and did the dirty deed for us. What a magnificent bird it was. We also have Grey Goshawks – although ours are pure white! They have a nest just below our place. And the third larger raptor is the local Swamp Harriers. And with them our neighbours chickens are having nervous breakdowns. Even though their runs are predator bird proof. Along with these we a great assortment of other birds including parrots, finches, wrens and robins. These we do feed but not in a stationary feeder as we have a cat. These birds get wild bird seed when the cat is having one of her 4 hour naps! I like your site and will keep an eye on it so I can come back and visit. Thanks for commenting on my page Helen! 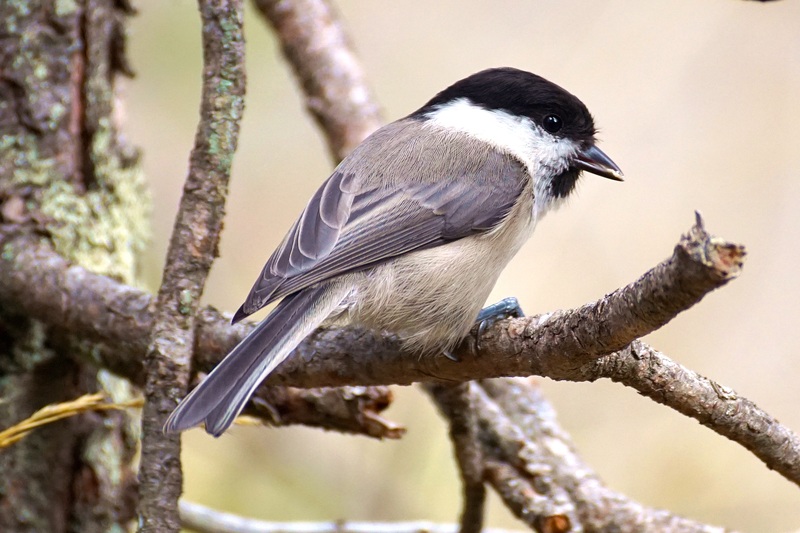 Wow, it is always fascinating to hear about someone else’s backyard bird experiences especially in other countries. It sounds like you have a great habitat for birds and I’m sure your cat loves that too! I looked up the Wedge-tailed Eagle as I have never seen one before. Pretty cool looking raptor! Thanks again for your comments and sharing your bird story!